Spicy golgappas, crisp samosas, piping hot chhola bhatura and succulent gulab jamun is the kind of stuff that you can’t seem to quit, Baljee Restaurant in Sadar Bazar will be your new favorite place. That’s true, G-Town people. You will find just as good at this place in Sadar Bazar. Baljee serves everything street food, from savory to sweet. We say you try their spicy aloo tikki or dahi bhalle for the savoury part. They have the most succulent gulab jamuns which would help satiate that sweet tooth. And for those who like old world charm, go for the tilla kulfi. What’s more? Everything here is under INR 60! And for the quality and quantity being offered, this is a complete value for money deal. 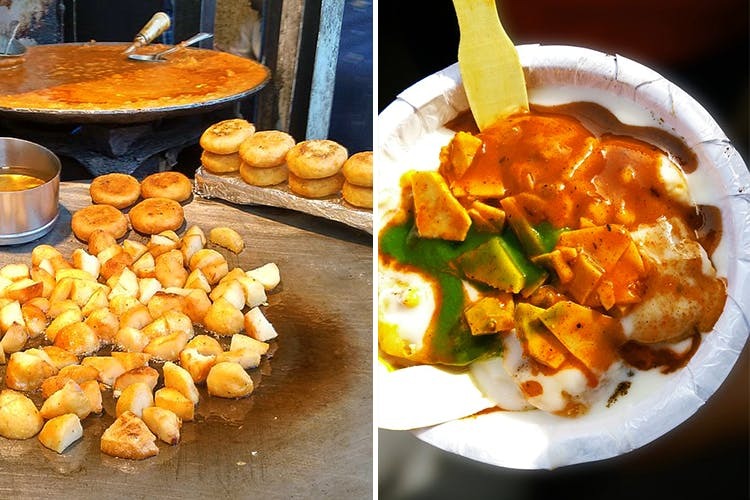 If you’re missing the chatpata flavours of the iconic Delhi street food, just know that it’s just as good at Baljee Restaurant in G-Town’s Sadar Bazar.